Becoming a fitness model is no easy task. And once you "make it," the job gets even harder! 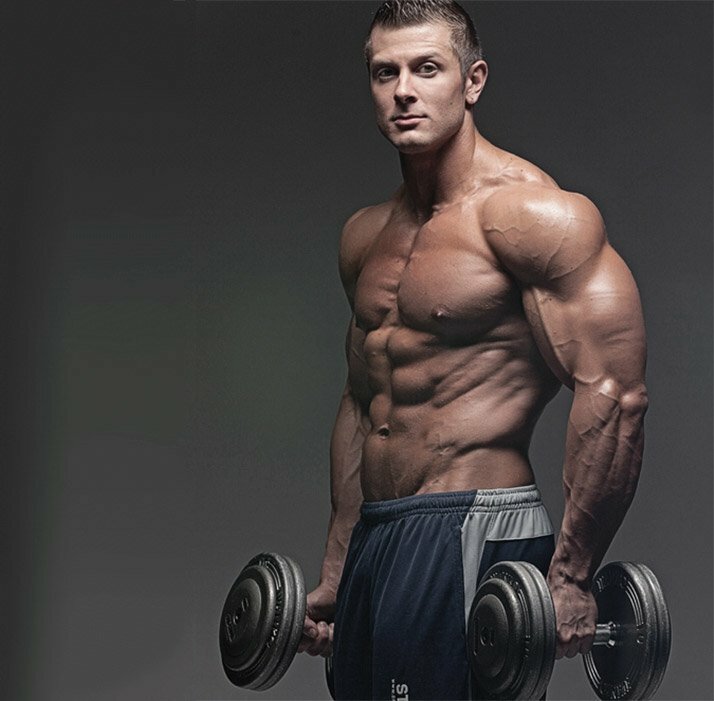 Read these insider success tips from Optimum Nutrition athlete Brock Cunico. If you spend a lot of time in the gym and work hard on improving your physique, you may have the ultimate goal of becoming a fitness model. That's a great goal, but can be a very difficult one to achieve, especially if you aren't really sure of how to start. These 10 insider tips will teach you what it takes to be a fitness model and what practices will set you apart from the competition. Read on, get inspired, and chase your dreams! It's true that preparing for an upcoming photo shoot takes diet and exercise, but most people don't realize that achieving that ideal body only goes so far. Having proper body language and facial expressions to showcase those results is vital to a successful experience. So practice your poses, facial expressions, and emotions in the mirror weeks and even months prior to the actual shoot. You need to have perfect control of your face and body in order to get exactly the right pose—that's not an easy job. Some poses are difficult and uncomfortable, and to make things even more difficult, some poses may work great for other people, but may not show off your best angles. You may feel silly spending so much time in front of the mirror, but you'll be much better off if you make like Zoolander and practice your "Blue Steel." One of the best ways to separate yourself from your competition is to learn about the company/brand image you are helping to personify. If a company hires you to be the face of the brand, it means they want you to represent that brand in the best and most accurate way. Take the time to ask questions about the brand and the image. Look at advertisements of that brand or check out their other athletes. Find out if that brand favors a softer, harder, leaner, bigger, or more athletic look. Find out what kind of audience that brand is trying to reach and pay attention to what products that brand is selling. The more information you obtain about a company's image, the more you can prepare yourself to become that image. If you do your job right, you'll be much more likely to get a call for another gig. If you're at all interested in fitness, you already know your eating habits can make or break your physique. However, showing up to a shoot in absolute peak condition takes a little more attention to detail. Yes, you have to look at your macros and eat exactly what you need to in order to reach your goals, but you also need to pay attention to little things like sodium intake, carbohydrate manipulation, and how much water you drink. Sometimes, even the smallest mistake in your nutrition can have big effects on your body. Learning how to manipulate these little things to make your cuts deeper and your abs pop like nobody's business takes time, effort, and trial and error. Do your research and use each preparation as a learning experience. I'm going to give you a tip I wish someone had told me years ago: You never know who's watching. What you post on social media, how you act in the gym, and the way you present yourself during a photo shoot, interview, or expo matters to those who could potentially hire you. If you want to land a career in the fitness industry, act like a professional and lead by example. Your behavior can lead to a life-changing opportunity or the end of your career. Make yourself open and available to new opportunities, be courteous and polite at all times, don't use social-media platforms to make offensive statements, and be the role model companies are looking for! If you've landed a big photo shoot, it's important to have all the bells and whistles in check. Your color needs to be bronze, not orange; your hair and makeup should look good; and you should have done everything in your power to show up looking your best. However, one thing many first-time models forget to bring to the shoot is their confidence. Whether you're on a shoot or at a fitness expo, your confidence is every bit as important as your body. If you're worried about how you look, how you're performing, or how you're being perceived, you're not going to be able to work in the best way. So, along with your extra bottle of spray tan, be sure to put some poise in your gym bag. Remember, you're at this event or shoot for a reason. Leave the impression that they picked the right person for the job! Getting into magazines may seem far-fetched to the average gym goer, but having that negative mindset is the most difficult road block to overcome. Instead of thinking about all the ways you can't, embrace the struggle and learn from your mistakes and hardships. Positivity goes a long way. That final outcome may seem far away, but you're still successful if you work hard each and every day. Focus on each step, make your career your priority, and you will ultimately succeed—even if it's not in the way you originally planned. Everybody has something unique to offer the world, but it takes a lot of work to get your name out there. Thankfully, social media and the Internet provide everybody a platform to shine from. Build your opportunities by networking with like-minded people on Facebook, Instagram, Twitter, and newer platforms as they emerge. Your success starts from the initiative to reach out and share your vision with the world. Strength comes in numbers. With followers and support you can build something colossal. Promote yourself in the best possible way, and before you know it people will recognize your name and opportunities will come knocking at your door! A lot of people want greatness but don't want to do the work to get there. Are you willing to put in the work when nobody is watching? Hard work and sacrifice often breed success and opportunities, but your work will not always be appreciated or noticed. Hard work and sacrifice often breed success and opportunities, but your work will not always be appreciated or noticed. If you want to showcase the best you, then you have to become your vision. You can't depend on other people for motivation. You have to live your dream every single day. If you want something badly enough, work needs to become a habit. Good habits form structure, and structure builds good habits. To become excellent, you have to live and breathe excellence. Don't be the guy who trains arms and chest three times per week or the girl who trains her legs and booty like they're the only objective. Of course nice arms and legs are great for the summer season, but it's a well-rounded physique that will get you further in the fitness-model game. This means you guys will have to start training those legs, and you ladies will have to do more than the booty blaster if you want that perfectly proportionate physique you see in the magazines. Although it can be difficult to look at your body objectively, it's important to know what muscle groups to bring up and which ones you can spend less time working on. Look in the mirror or hire a coach and decide what you need to accomplish to look your best. Once you alter your training to maximize your all-over aesthetics, you'll be floored with the results. I know it can be really tempting to use performance-enhancing drugs. However, using them is not always the quickest way to the finish line. I would never recommend using them. Instead, learn about nutrition, training, and supplementation and their proper application. As a lifetime drug-free athlete myself, I can vouch for the fact that it's far more rewarding to reach the top tiers of your fitness career with no asterisks by your name. I've gotten where I am with nothing but hard work and dedication. I want you to be able to look back on your success and say you did it as a true natural athlete! Brock Cunico is the creator and CEO of BMC Fitness. He is also an Optimum Nutrition athlete and an NPTI master health practitioner and nutritionist.